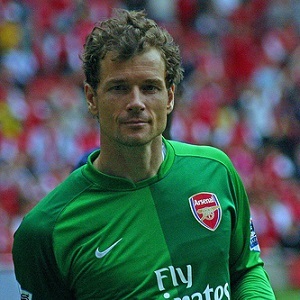 Former Arsenal goalkeeper Jens Lehmann says gay footballers should stay in the closet. When asked about football players coming out in an interview with Sky in Germany, he said: “Anyone doing that would be nuts. “You can’t advise anyone to do so, they would no longer have fun playing football. The goalkeeper played for Arsenal between 2003-2008, and then again in 2011. He was also on the German national team. He was named Goalkeeper of the Year by UEFA in 2006. He also said he thought straight people and gay people showering together would cause problems. Hitzlsperger came out earlier this month in an interview with a German newspaper. He said there was “a long way to go” before a current premiership player could feel comfortable coming out. Comment: What would happen if a gay premiership star came out and continued playing football?